Teen girls think chemical engineering is a world away, but, actually, it’s as close as their lips. Making lip gloss with household items like honey and shortening was one of the ways used to introduce students to chemical engineering at the annual iCan Girls in Engineering Conference April 13. 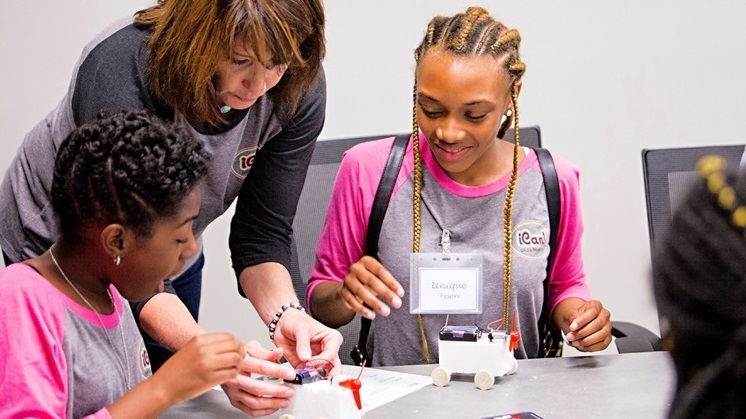 More than 100 sixth- through eighth-grade students participated in a series of hands-on activities at Corporate Headquarters while getting to know female engineers from Alabama Power and Southern Company. The program introduces students and their parents to engineering through workshops led by professionals in the field to establish connections and friendships with other girls of the same age. The annual event is designed to present STEM (science, technology, engineering and math) as a viable career path for girls. Alabama Power Market Specialist April Sibley, who led the popular lip gloss activity, has been a volunteer with iCan for six years at Erwin Middle School and Phillips Academy. A graduate of Tuskegee University, she realizes the importance of reaching girls early and providing mentoring opportunities to help guide their career decisions. 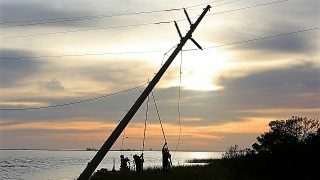 Alabama Power’s iCan conference opens girls’ eyes to wide world of engineering from Alabama NewsCenter on Vimeo. Electrical engineering: Students learned about basic electrical circuits and DC motors while building a small car powered by a propeller. Software engineering: Students learned the importance of details in computer programming through developing written instructions to make a peanut butter and jelly sandwich. Electricity and power demonstration: Students participated in hands-on demonstrations while learning about electricity. Civil engineering: Students worked in teams to build a tower from straws and competed for prizes while learning about the engineering aspects of building a structure capable of supporting weight. While the girls were participating in activities, parents were given the opportunity to ask questions to a panel of educators and company engineers. Parents play a pivotal role preparing their daughters for a career in engineering as they select classes in junior high school. It’s important to start early with math and science classes to prepare for advanced courses in high school, panel members said. Guest speaker Zoe Dwyer has spent more than 30 years with the University of Alabama at Birmingham School of Engineering. Since 2012, she has been associate professor of materials science and engineering, and associate dean for undergraduate programs. The number of female engineers has greatly increased nationally, but many people are surprised how low the overall percentage remains, according to the Society of Women Engineers. The National Girls Collaborative Project estimates 15 percent of the U.S. engineering workforce is female. Reasons for the disparity between males and females include lack of female engineering role models, misconceptions of what it is like to be an engineer and having fewer technical problem-solving opportunities through K-12 compared to men.